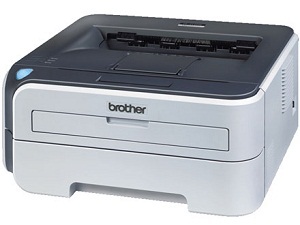 The HL-2170W is a budget-friendly monochrome laser printer that is ideal for home or home office printer sharing. Featuring the same print speed, footprint and paper handling as the HL-2140, the HL-2170W offers wireless 802.11b/g and wired (Ethernet) network interfaces for connecting to your wired or wireless router. In addition, it includes 32MB of memory standard for faster processing and PCL6 emulation for greater compatibility. Generous paper capacity. A 250-sheet capacity paper tray means you will spend less time refilling the tray, and a manual by-pass slot is available for printing envelopes and letterhead.